Suzan-Lori Parks Comes to A.C.T. Suzan-Lori Parks reached down to the black case beside her chair and took out her guitar. “It’s about listening in,” she said, gesturing with her free hand. On the 8th floor of A.C.T.’s administrative offices at 30 Grant Avenue, three dozen young actors from the M.F.A. Program leaned in, watching the strings, waiting for the notes. 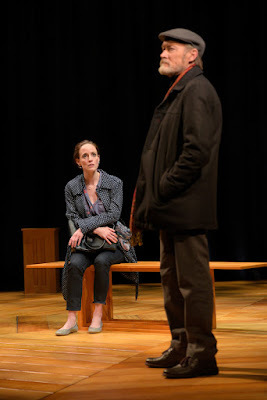 Slowly, the playwright and songwriter of Father Comes Home from the Wars (Parts 1, 2 & 3) started a steady rhythm, light and even. 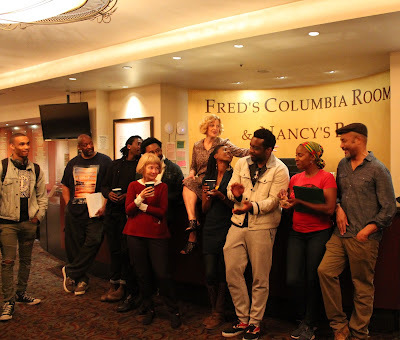 When the cast and creative team of Father Comes Home from the Wars (Parts 1, 2 & 3) flew in to San Francisco from Yale Repertory Theatre last week, their meet and greet at A.C.T. was more like a reunion than a first rehearsal. In a case of life imitating art, A.C.T. and Yale Rep’s co-production of Suzan-Lori Parks's Father Comes Home—beginning performances tomorrow at The Geary Theater—is a homecoming story not just for the characters in the play, but also for the artists involved. 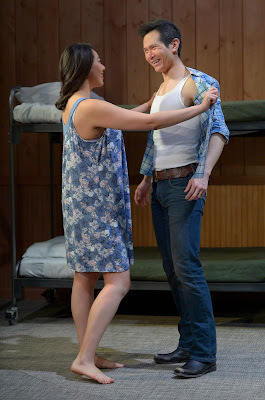 From Platoon (1986) to the Rambo series (1982–2008) to Miss Saigon (1989), “the main protagonist is always a white guy going to Vietnam and [the] Vietnamese are the bad guys being shot at or they are the people who need saving,” said playwright Qui Nguyen in a 2016 Rolling Stone interview. So Nguyen created Vietgone as an antidote to the “white savior” tale. Its characters are proudly Vietnamese and fully capable of saving themselves. 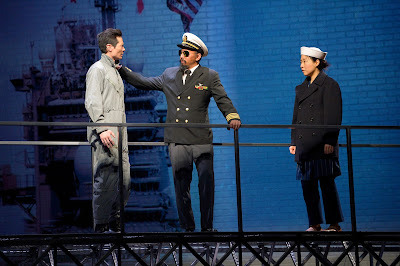 By giving his characters dimension and agency, Nguyen attempts to reclaim how Vietnamese people have been represented on stage and screen, and makes them the heroes of their own story. 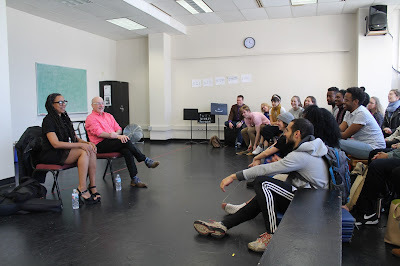 For over six months, 13 young theater artists from various departments of A.C.T.’s Fellowship Program have come together to produce not one, but two plays in a project that will culminate in performances this week. 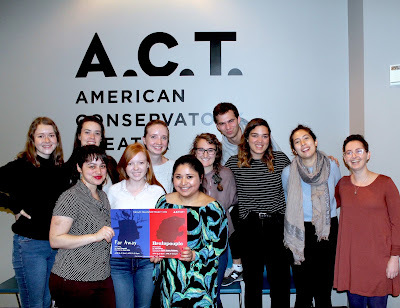 Running April 19–22 at A.C.T.’s Costume Shop, the production features the work of Obie Award–winning playwrights Caryl Churchill and José Rivera with Far Away and Brainpeople, respectively. Both these plays tackle war, fear, and oppression through a dystopian lens, speaking volumes about the world we live in today. In celebration of this project marking the fifth consecutive year of the Fellowship Project, we spoke to some of this year's fellows about their experiences. Growing up in Arkansas with Vietnamese refugee parents, Qui Nguyen loved hip-hop, action movies, and comic books. So when he began writing plays, he filled them with these passions: martial arts in Begets: Fall of a High School Ronin, superheroes in Men of Steel, and zombies in Alice in Slasherland. 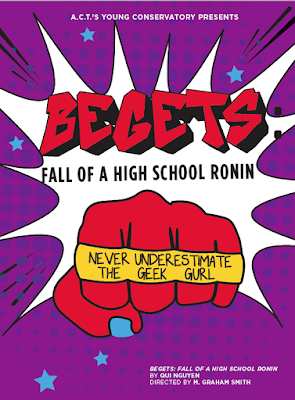 Many of these works were written for Nguyen’s Obie Award–winning “geek theater” company, Vampire Cowboys. We caught up with Nguyen in anticipation of his takeover of A.C.T. 's Strand Theater this upcoming week—Vietgone is playing in The Rembe and Begets is playing in The Rueff—to talk to the man behind the work. This is Part Two. At first glance, science and theater may seem like chalk and cheese. These two fields, however, have been intimately connected for centuries. As Renaissance scientists such as Galileo, Copernicus, and da Vinci were discovering new aspects of our world, sixteenth- and seventeenth-century playwrights were referencing these discoveries in their works.